Girl, when is the last time you hit the gym or even just exercise? I haven’t been to the gym since February (Survived my first mountain then) and my last attempt of exercise is the two jogging sessions before my Japan trip last April. For the last 6 months, I’m a certified couch potato. (more of a bed potato perhaps?) 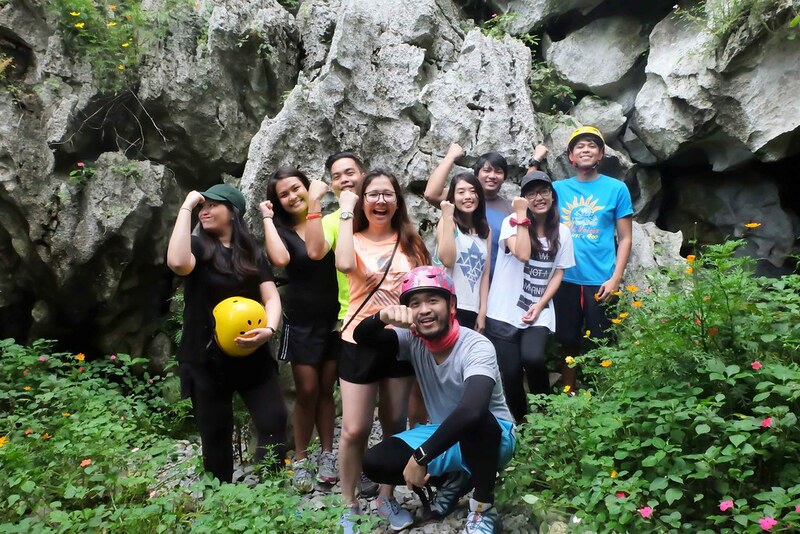 So I really don’t know why I made this Masungi Georeserve trip in the first place. This weak unfit girl just planned her death. 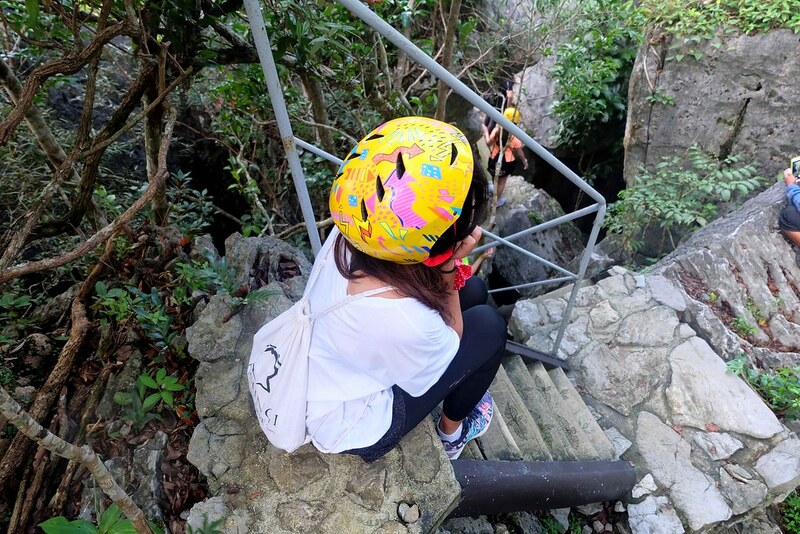 I didn’t die, just almost, in fact I survived this adventure and wanted to share this guide to you, my fellow lazy girl! I’m maybe weak but my Instagram game is strong! BUT FIRST, WHAT IS MASUNGI GEORESERVE..?? TIP#1: Bring your boyfriend (if you have one). He’ll wait for you when you stop due to exhaustion, drag you, catch you if you fall from the climbing and, if he’s strong enough, you can ask him to carry you. But also bring your unfit girl friends too. The more the merrier. Sama sama sa hirap mga babygirls. Before you can proceed on the discovery trail, an orientation was needed from their park ranger. She’ll asked you on your reasons for going and expectations from Masungi. (Clue: Closer to Nature. Closer to God) She’ll also explain the rules and the do’s and dont’s on how to survive the trail so listen carefully. The most important thing you need to remember is never wander away from your group and park ranger. TIP#3: Go do your restroom business before the trail. There will be no restrooms around so go empty that bladder. Bonus points, they have a pretty comfort room. TIP#4: Don’t be maarte. 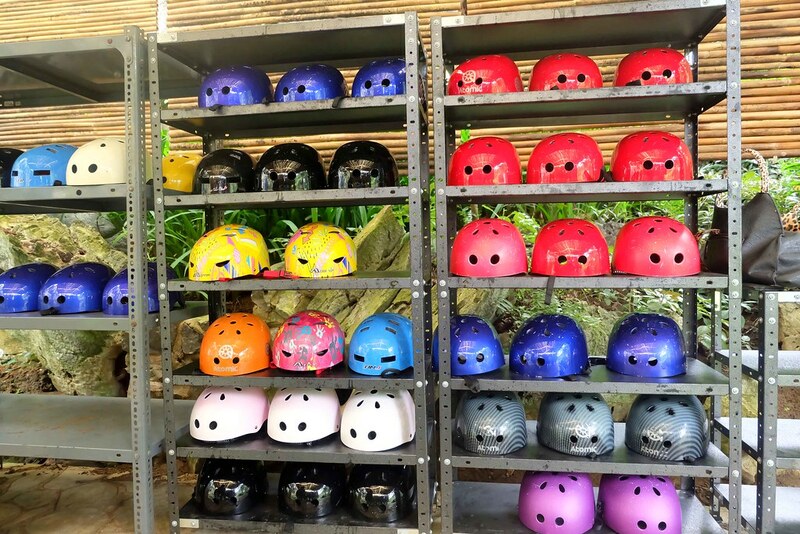 Wear your helmet. So in case you’ll slip or fall, there will be 50-50 chance you’ll live. Masungi Georeserve is actually unfit friendly. You don’t have to walk in the soil/mud, slip and climb while holding a branch for your dear life because the trail is already cemented, arranged flat rocks you can step in and even have stairs for climbing. You just need a lot of cardio, as in lots of it. 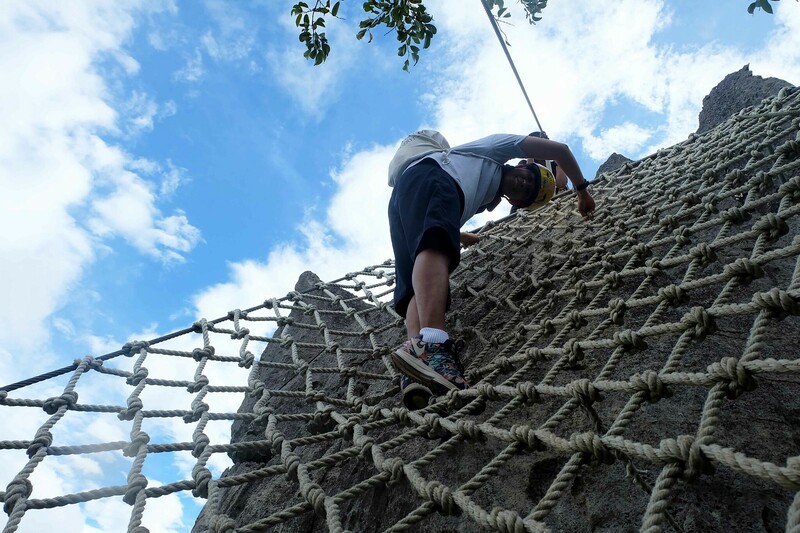 The first obstacle is to climb a lambat maybe around 15 feet. Since you still have 100% of your energy saved up, this will be an easy breezy thing even you’ve never exercised in your entire life. Just be extra careful in the top part because you really need to carry your whole weight to be able to stand on the edge. The view is nice up there though. TIP#6: It is easier (for me) to climb on the left side because your shoes keep getting stuck on the smaller knots on the right side. It’s best to be in the middle. 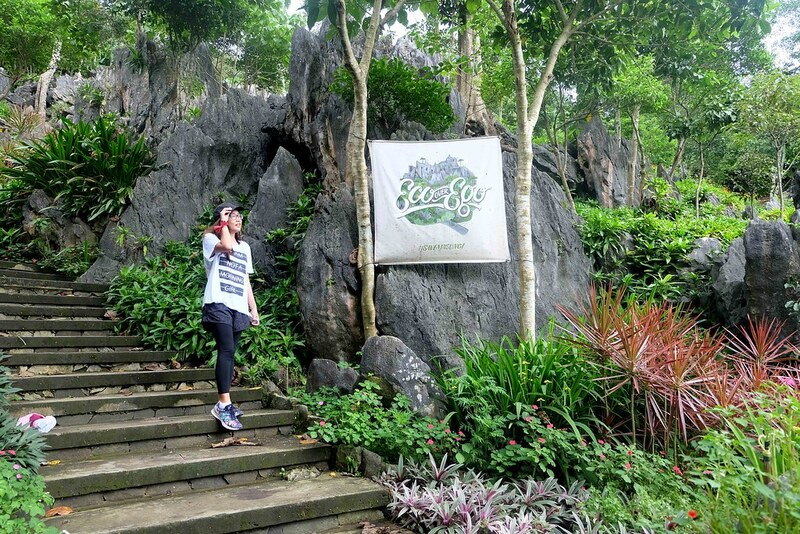 TIP#7: After lambat, ready your legs because you’ll start climbing up. Don’t worry, there are dramatic spots along the way so ready your camera too! 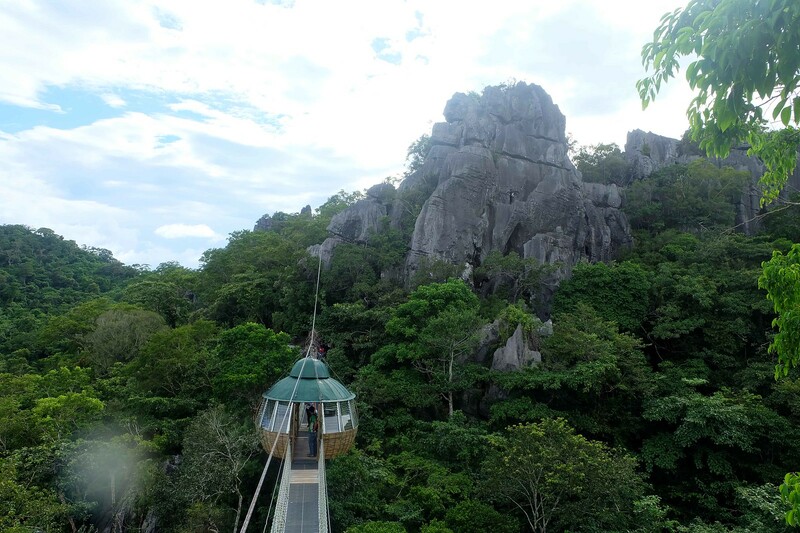 At the top of the first mountain is the sapot, designed like a spider web overlooking Laguna de Bay. This is one of the famous area of Masungi. Below it are limestones you can explore too if you want. There’s a narrow (good for 1 person only) lane you need to cross to be able to go on the middle. The sapot is made of thick metal wires but it swings a little!!! I can’t cross it standing up because I tend to lose my balance (always when crossing footbridges) and fall in the stones below. So I END UP CRAWLING. 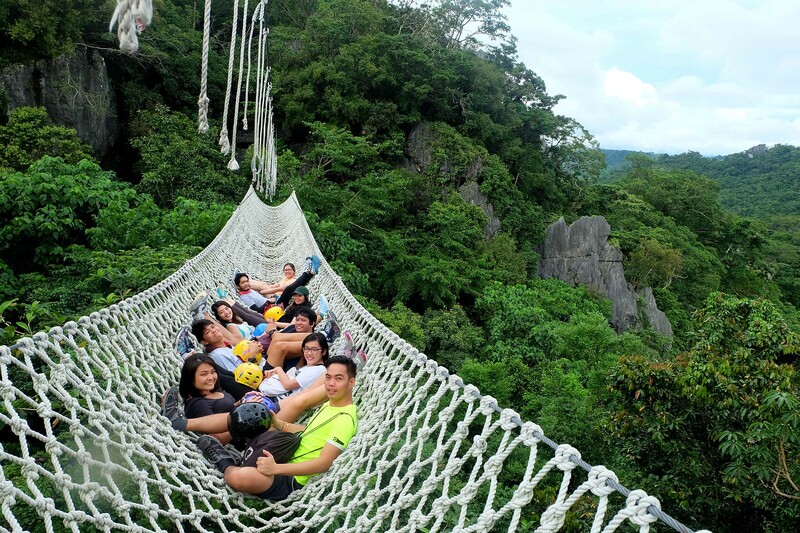 You will be given 15 to 20 minutes to enjoy sapot then it will be time to climb down. 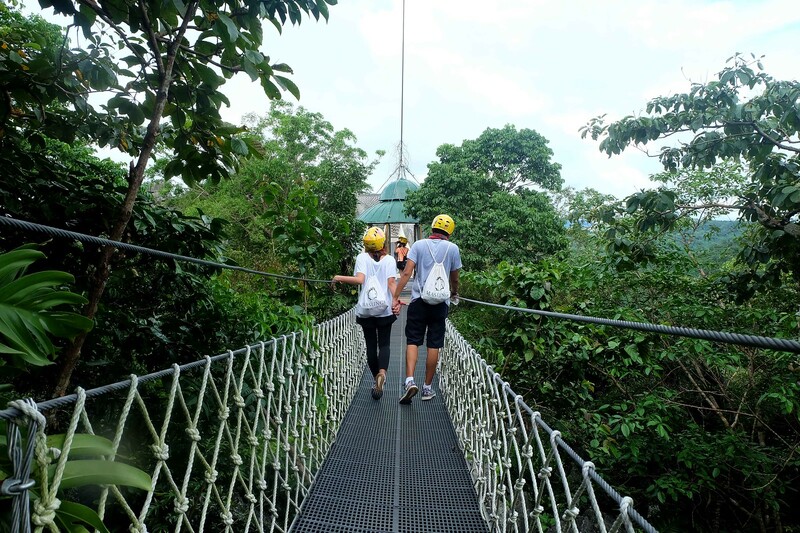 You have to cross the suspended bridge above. It is freaking high so if you’re afraid of heights, I advise you not to look down. When you’re extra lucky, you’ll see birds flying around. From the suspended bridge, we have to hike down so prepare for a lot of this. But there will be also a lot of resting stops. So use it well. The patak is the next area after sapot. You can actually rest here because it has chairs inside. You can also try using the binoculars too for bird watching. I failed to see a single interesting thing though. TIP#10: Regain your strength here because the trail will start to be harder. The mountain above is where the sapot is. You just conquered one mountain girl! Congrats! It’s like a water droplet right? This, for me, is the hardest one in the trail. 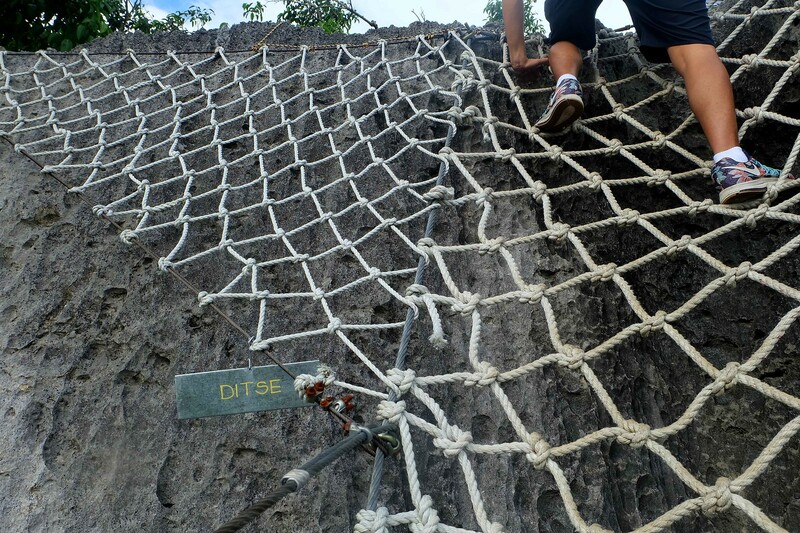 From patak, you have to climb up the net to ditse (means second daughter in chinese). Ditse is just a small mountain/limestone (I’m not sure) so it gets overcrowded on top. It is very much open so one wrong move can bring you flying to heaven. So imagine the 9 of us staying close together in the middle of the summit. 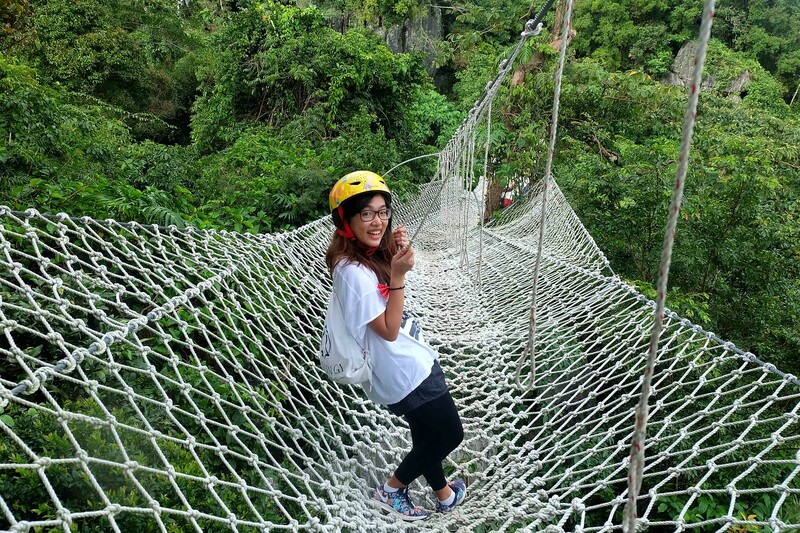 The scary part is the climb down to duyan. Imagine yourself sitting in the edge of ditse and one wrong step can I don’t know, I don’t even want to know what will happen if you fell. Channel your brave soul here! Ditse’s summit. 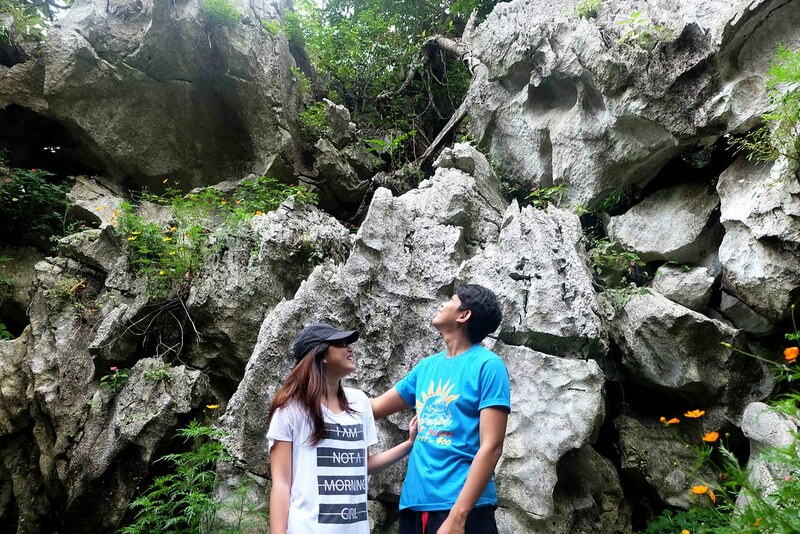 The one in our back is where you will climb down to duyan. The duyan from ditse. Can you imagine how high it is na? Then the high peak there is Tatay. 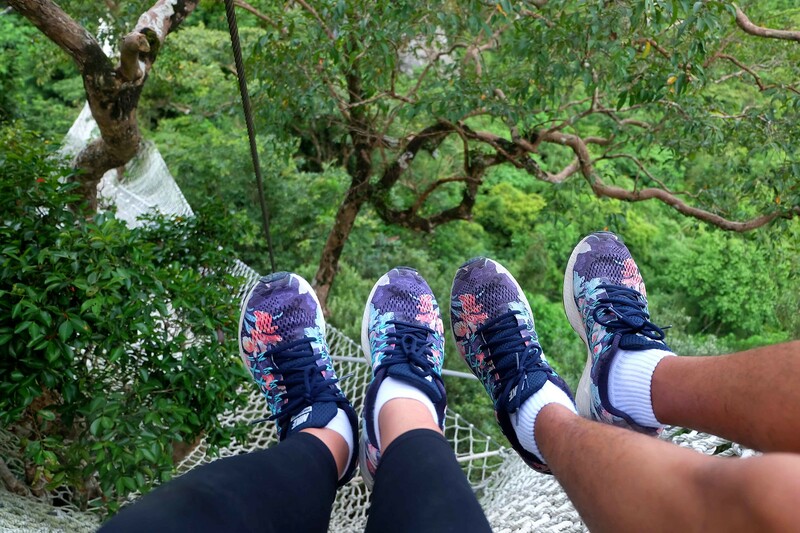 TIP#11: You can climb down with someone together. The net is wide enough for two. Duyan (hammock) is suspended between Ditse and Tatay. It is high enough that you can see birds flying below if you look down. It is not scary at all, even Paul who is afraid of heights enjoyed it. Maybe because the view will drive out all the fear. It is so green and beautiful, a manifestation the there really is a Creator. So far this is my favorite area and I think you will too. TIP#12: Say a simple Thank you to God for the beauty you’ve seen. Slowly but surely. My foot keeps getting stuck on the knots. One of the kind experience. 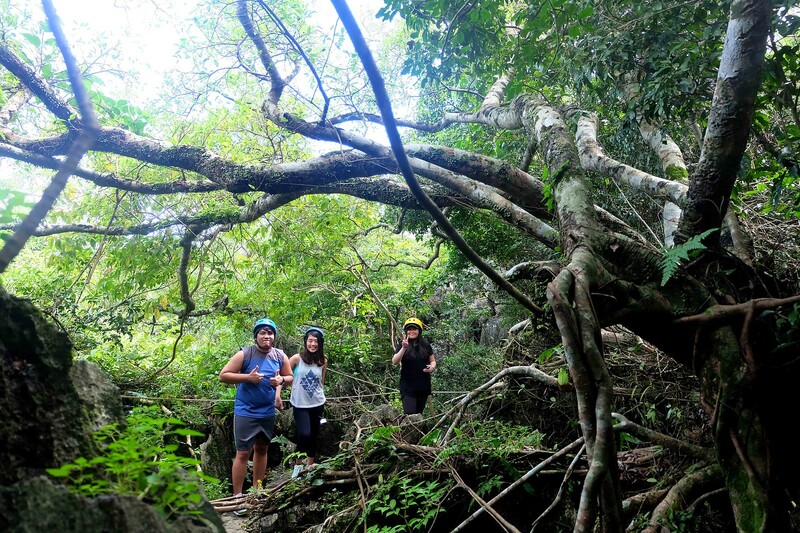 After duyan, you’ll explore the cave discovered by one of the park ranger of Masungi and you guess it right, the ranger’s name is Reuben. It is dark inside so bring out your phones for some light source. In the middle of the cave is a water fountain that catches the rain. The temperature inside is cool and you can go wash your face with the cold water in the fountain. Fresh! 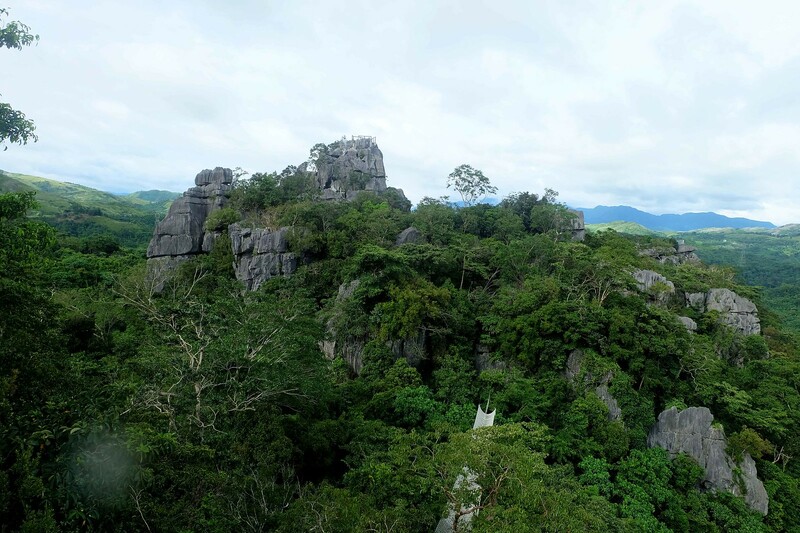 Tatay (Father) is the tallest among all the peaks in Masungi Georeserve. It is a long way up to the top and this is where my whole legs are close to giving up. Fatigue will start to make its way to you. We have to stop most of the time for some sugar rush and boiled egg. I don’t even have photos anymore because I’m so tired to even click my camera. (#OALang) TIP#13: Bring chocolates or energy bar or anything that will give you energy. You badly needed it in you trek to the peak. But the view from above is priceless! It is an endless green and mountain. There’s something fulfilling seeing your body overcome something you never thought you could. On our way to Nanay (Mother), I’m quite sure I’m just dragging my legs to move forward, one after another. 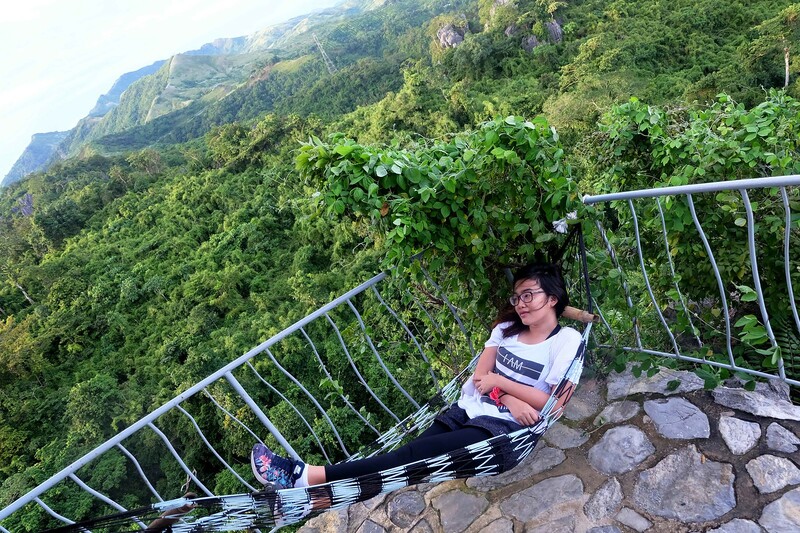 Unlike Tatay, Nanay offers so many rocks where you can sit and even hammocks! True to her name, this peak will offer you rest before you end the trail. Even in nature, mothers are nurturing and loving. Mandatory shots for Masungi Georeserve survivors! Nanay is the last stop for the trail. 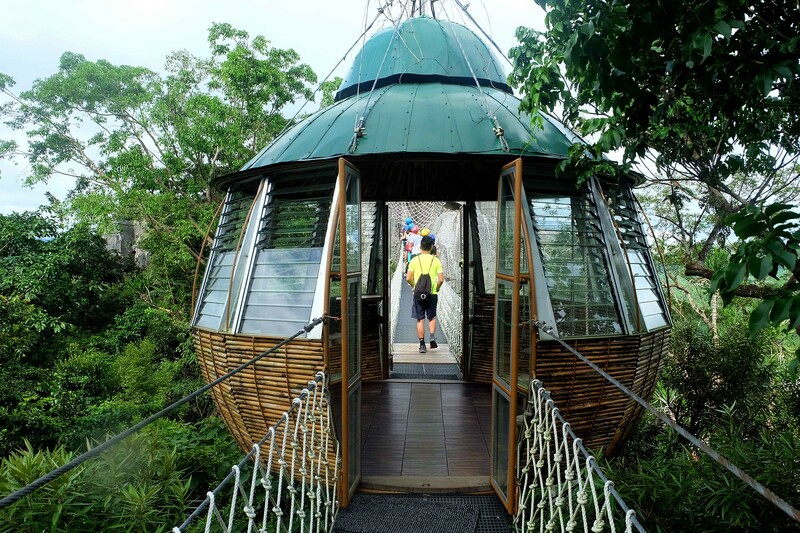 And it’s time to climb down to liwasan for your complimentary food – which are just sandwiches and juice. My last tip will be to Believe in your body and in your self! I’ve done and survived it. So, girl, no doubt you will too! 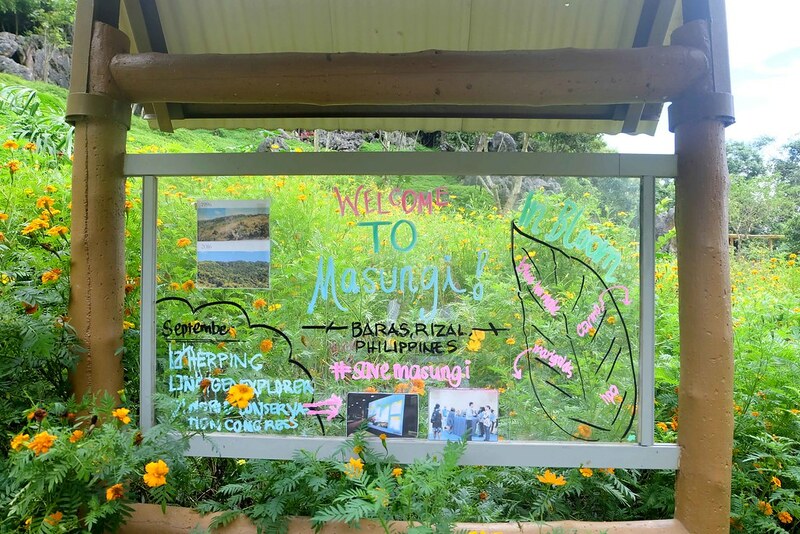 If you are up for the #Save Masungi challenge, here’s a travel guide on how. Form a group of 7 to 14 person, no more no less. Please stop asking if pwedeng 6. Book for your chosen date and time here. If you wanted to go on a weekend, reserve at least 5 months before. I’m not kidding! Wait for Masungi Georeserve’s confirmation e-mail within 7 days of booking. If you chose bank deposit as your mode of payment, the bank details are included in the e-mail. You have 7 days to deposit the 50% down payment to secure your reservation. If not paid within 7 days, the dates will be available to booking again. E-mailed them with the deposit slip. Keep the hard copy of the deposit slip!! 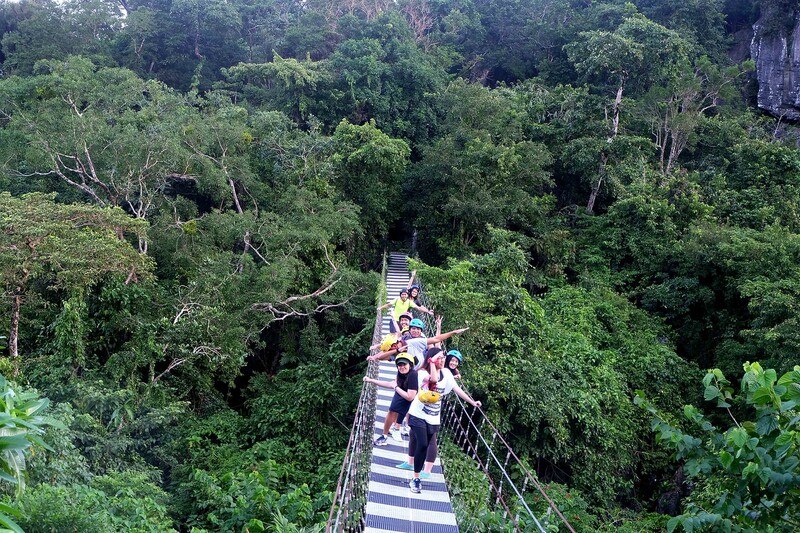 Discovery trail is P1,400 but I heard they’re increasing their prices by January 2017. Read Masungi Georeserve Releases New Conservation Fee for 2017. All remaining balance needs to be paid 4 days before your visit. You may add additional people as long as your group is not exceeding 14 persons. Send the deposit slip too via e-mail. On the day of your visit, arrive one hour earlier your time slot. via driving: You can waze, Masungi Georeserve or Kilometer 47. Just follow/stay on the Marcos Hi-way Road/ Marikina-Infanta Road. You have to pass by Masinag, Cogeo then Tanay. via commute: Commuting is not really advisable. There are no jeepney passing by. Bring your own water tumbler and trail foods. You’ll need this. Wear comfortable hiking attire and closed shoes. Review and respect the policies of Masungi Georeserve. 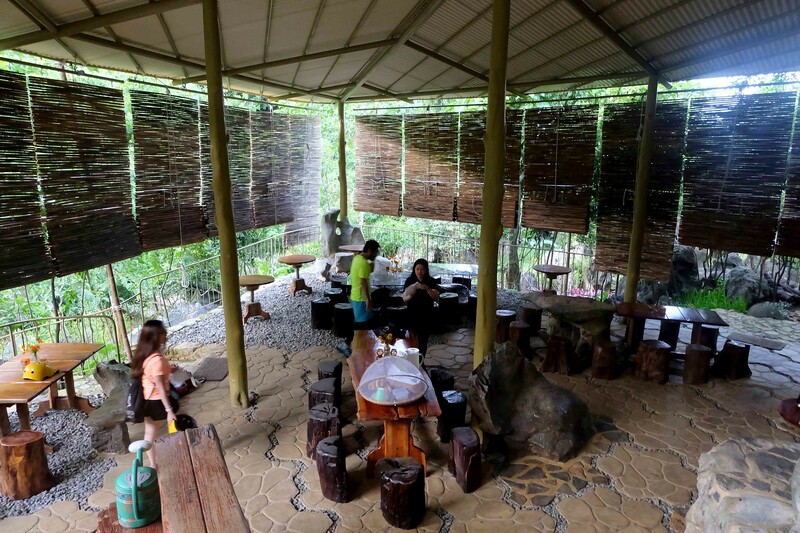 There are no food places around Masungi so better eat your breakfast/lunch in Antipolo. Pack light. Bring the things you just need in the trail. There’s a no tipping policy but we tipped our ranger anyway. Be a responsible traveler person. Don’t pick flowers. Don’t throw your candy wrappers around. If you are coming from somewhere far like the Laguna and Bulacan, I advise you to book a resort in Tanay. You can try this Bakasyunan Resort or Ten Cents in Heaven. Don’t worry they’re affordable! 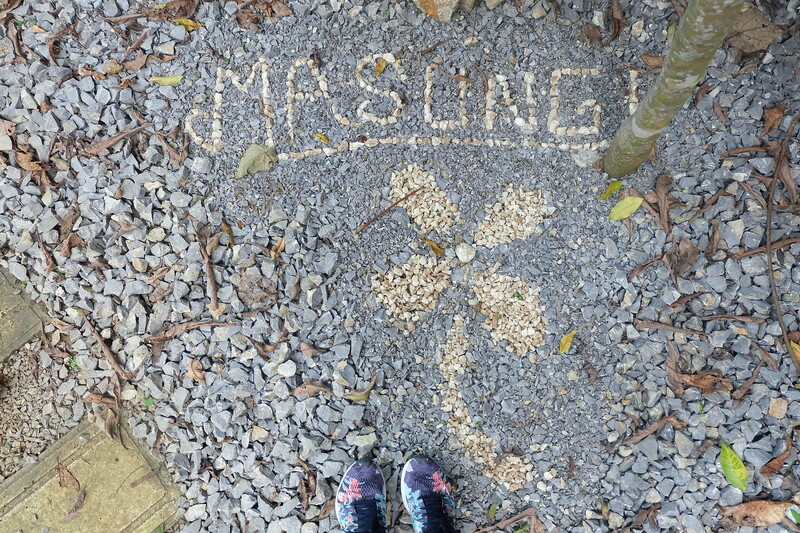 Have you been to Masungi Georeserve? or planning to go soon? Go share your experiences or questions in the comment box below! This looks like a lot of fun, Bea! I’m from Rizal but I haven’t been here yet (the reason will be apparent in the next sentence, lol). Were there a lot of birds? I am terrified of birds which is why I also turn down invites to visit the Georeserve. Haha. oww, another Rizal blogger!! #TeamRizal On my visit, maybe I saw around 3 lang and they’re like so far. There’s not much naman so go try it! I wanted to try this when we went to Manila but hindi na kasya sa schedule namin since we were there for 3 days lang! 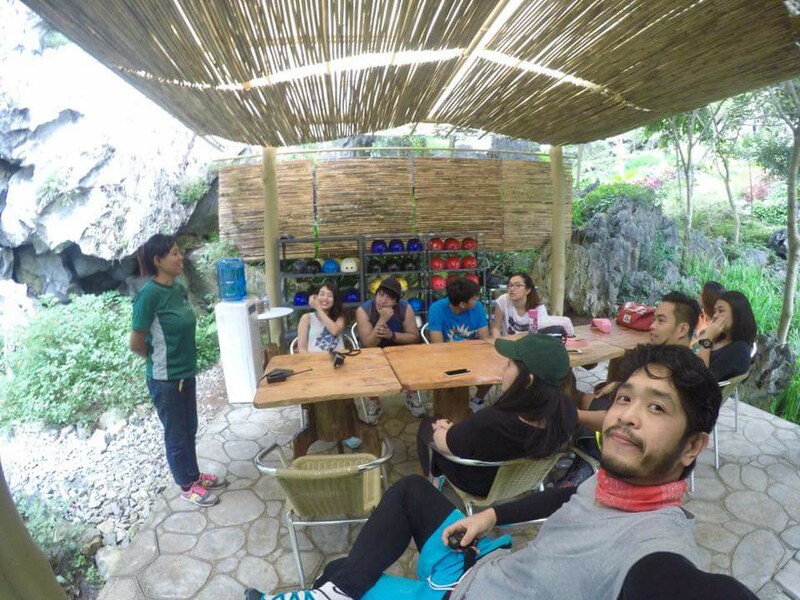 And medyo nakakatakot sya tingnan kasi walang harness compared dun sa recently tried Rope Course Adventure namin! Hahaha. But I’m pretty sure it’s really worth it kahit medyo expensive sya! Hehe. 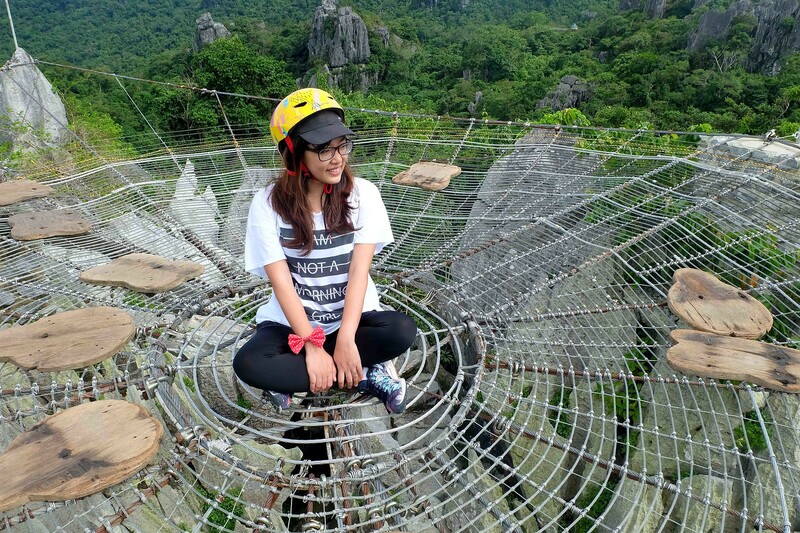 Nagpanic din ako nung baba kami ng bundok ng walang harness!! haha! But good thing I survived naman. There’s so much to do in Manila talaga. 3 days is not enough, same with me going to Cebu. But I saw na you went to Pilillia Windmill. It’s near there! Congratulations for making it! I have never been there but I have been hearing and seeing so much of this Masungi Georeserve. 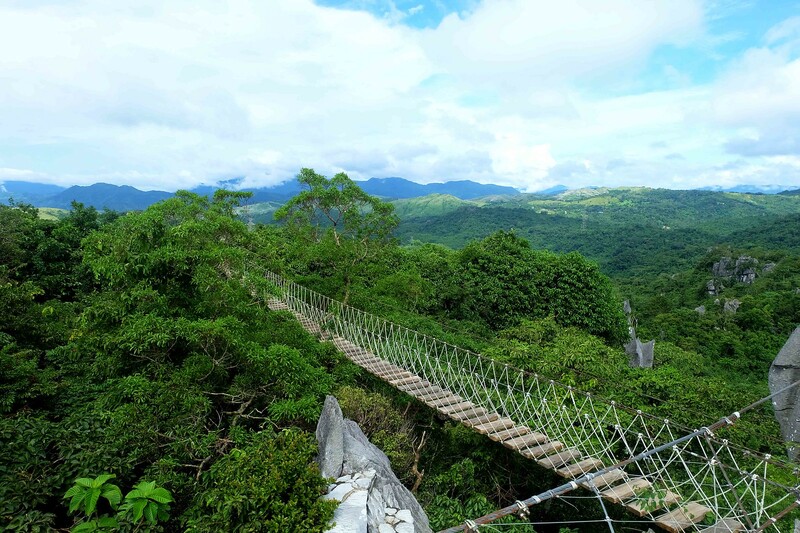 This is really a must to visit I think when someone loves to travel around the Philippines. My boyfriend and I love to travel too. However, he does not love hiking much. Although I know that he can do this, he is always afraid of me being in danger. 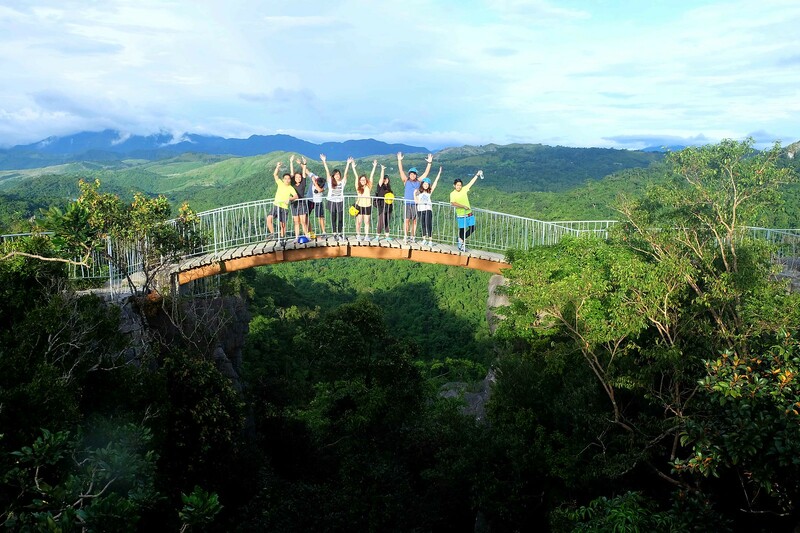 I would love to try Masungi Georeserve even I have fear of heights. I’d always love to see views from the top. I feel ya, I am looking at my reflection right now and wondering “who this person is”– totally out of shape. I have never seen anything like this before. 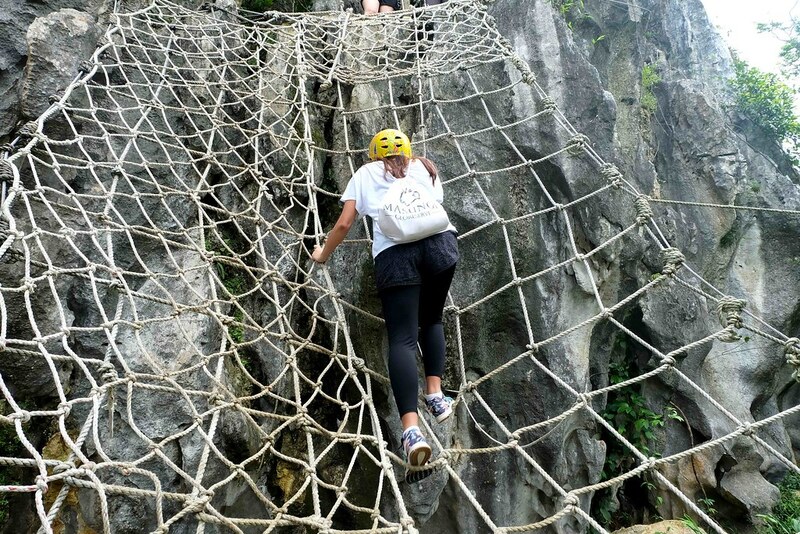 I have climbed quite a few mountains but never while completing an obstacle course. lol. 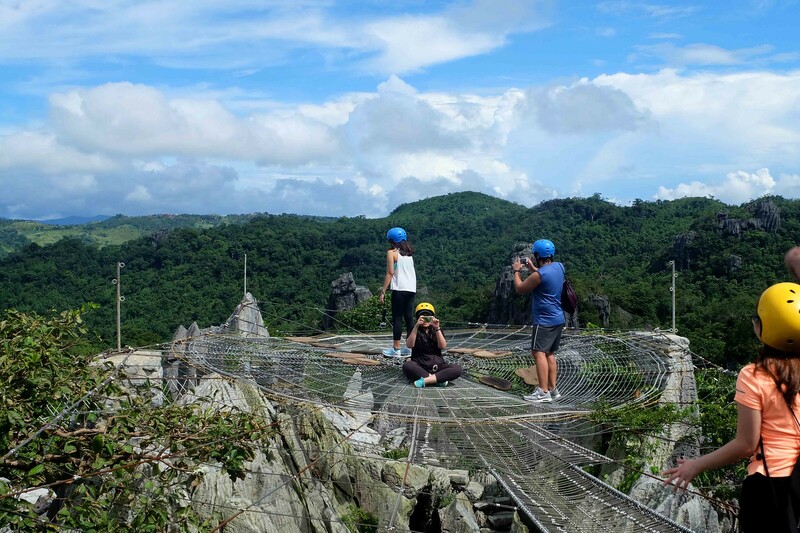 It looks terrifying and I’m not even afraid of heights, but that net thing over the peaks –I could never get my hubby up there. It took me a minute to realize where this was (second photo says Philippines) so I assume that’s where this is. It is really nice to do this with friends. Yung everyone is enjoying at first until everyone is quiet na kasi pagod na. haha! Unting jogging lang siguro then you’re good to go! We started at 12:30 and we ended around 5:30. Dame kasi naming pictorial moments haha! And yes the helmets ugggh. I have to wear a cap before the helmet kasi yes used na siya. 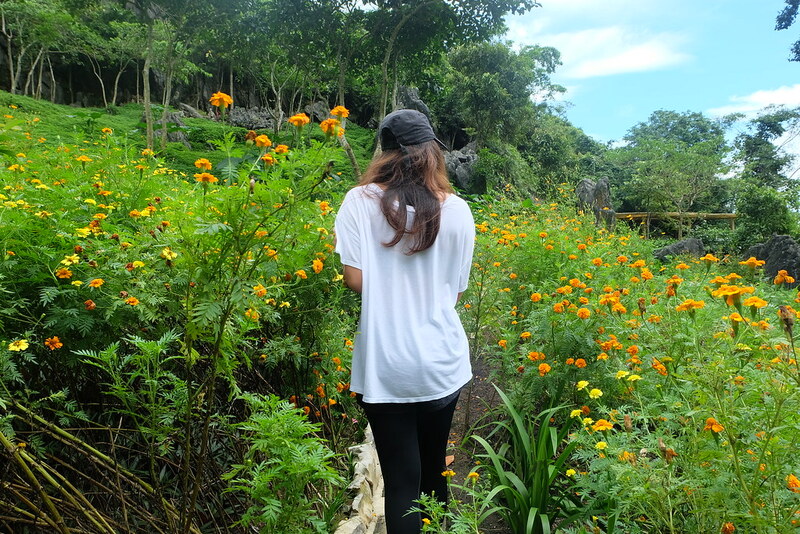 We used to be like that – tamad couple. We just love eating and touring. 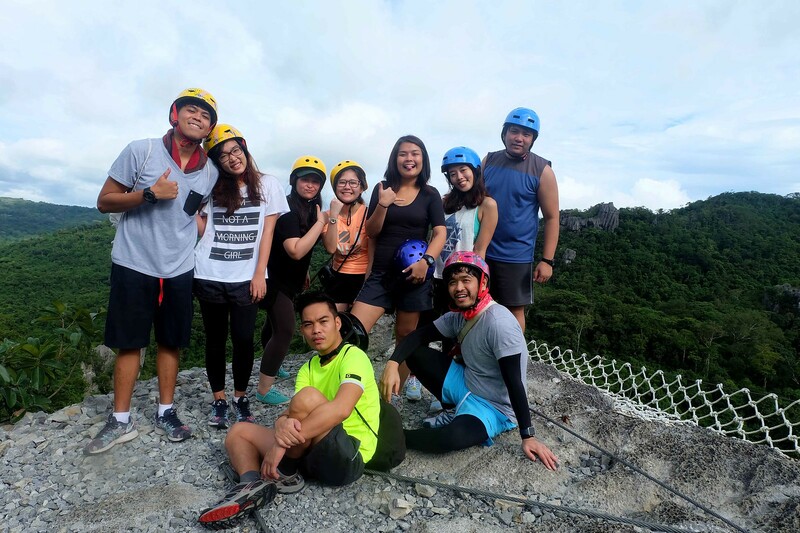 Until, I saw my friends conquering mountains and kung ano ano pang physical adventures. We wanted to try all! haha! Thank you for enjoying my writing. I wanted to write it as personal as possible since madami ng travvel guide to Masungi. I hope you try it soon when you go home! 🙂 Your nobela comments are always welcome J! So this was the place where I’ve seen those pictures of Duyan and the Spider Web. It’s beautiful!! I’m not good for this one took since I’ve been a couch potato for years! But will definitely try to visit this someday. 🙂 Those are very beautiful photos, and I love the captions! Haha! Awesome adventure, I want to try it the next time I visit the Philippines but I have kids so maybe when they are older nalang 🙂 You’re a great story teller I also felt losing energy as the story progressed 🙂 The pictures from above are well worth it though. Really enjoyed this post. Keep it up! Yes you should try this with your kids when they’re 13 years old already! It’s a great bonding. OMG! Ang ganda talaga dyan. But I heard mahirap ang reservation fully book na tlaga until end of 2016. 🙂 Hope to visit that someday. It is! Even until 3rd month of 2017 I think. You should. It is a one of a kind experience! It is expensive. On its first months, 1000 lang yung entrance. On 2017, they cost 1,700 pesos already! Phew. But it’s one of a kind experience so I think it’s still worth it. GRABE ang increase! Good thing, I’v experienced it na. It’s more fun and tiring. haha! 🙂 You should try it! OMG! I really want to go there. I heard it’s hard to reserve for a visit there. Beautiful place! It is! Try them on weekdays though. Woah. Looks like a complete adventure. And if you’re calling yourself unfit then considering my weight, strength and level of fitness, I better beware if I approach something like this. I did do much smaller rope course with my 5 year old kid sometime back. It wasn’t this adventurous, but was slightly difficult. My kiddo loved and and along with him, he made me do that activity for 5 times in a row…. 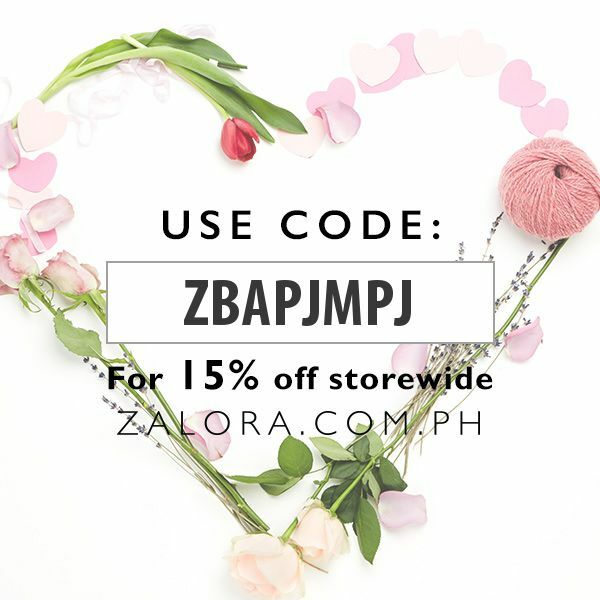 Hope to hear from you Thanks!